Darren drives the strategy and direction of the Claims group and is an expert in the intricacies and challenges associated with occupational and non-occupational disabilities as well as leaves of absence in the workplace. He has successfully assisted clients with the implementation and management of integrated disability management (IDM) programs and helped clients understand the true cost of absence. 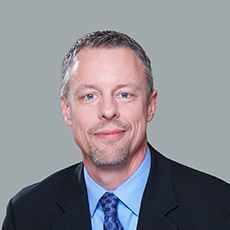 Prior to becoming Practice Leader, Darren managed Woodruff Sawyer’s Workers’ Compensation Claim Consulting team, providing consulting services on a range of complex claim and program management issues. Darren earned his bachelor’s degree in criminal law from California State University, Long Beach and holds the following designations: ARM, WCCP, Fraud Claim Law Associate and Workers’ Comp. Claim Law Associate. He joined Woodruff Sawyer in 2005.